EASY TO OPERATE - PROVEN TO WORK: 1. 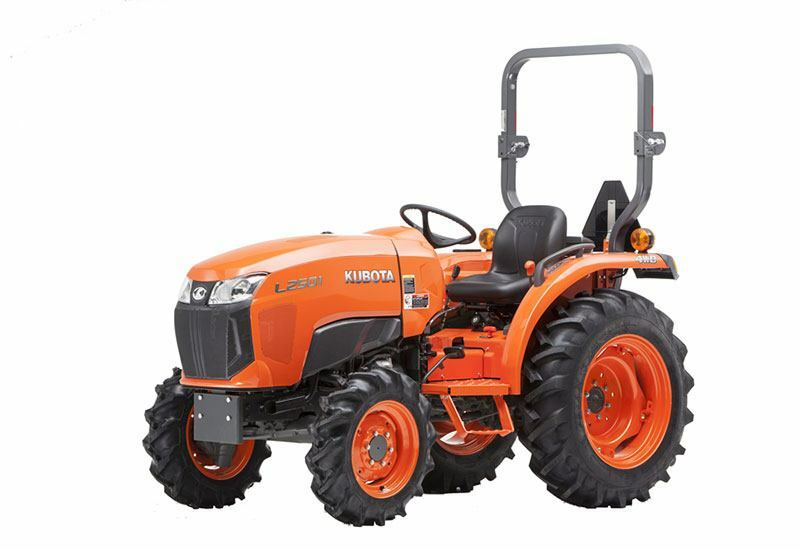 Operator Comfort – Comfort is key, and Kubota has it with an open working station, comfortable seat, ergonomic control layout and the Kubota Treadle Pedal (HST models only). 2. 3-Range HST – Kubota L01 HST models have a 3-range transmission, making it easier for any operator to find the right mix of speed and torque, no matter the job. 3. Simple and Easy to Use PTO – Kubota offers PTO clutch systems with simple designs that are easy to use. READY FOR A LONG DAY OF WORK: 1. Suspension Seat – Our contoured suspension seat reduces fatigue and offers all day comfort. 2. Easy to Use Control Layout – Ergonomic controls increase both operator comfort and safety. 3. Easy to Read Dash Panel – Features large gauges showing RPM, engine temperature and fuel level. 4. Larger Operator Platform – There’s plenty of foot room on our spacious operator’s platform. 5. HST Treadle Pedal – HST models come with the Kubota Treadle Pedal, which is easy to use with no confusion on which pedal you are pushing, making every job faster and safer. 6. Convenience – Standard cup holder, tool box and large fuel tank capacity. 7. Foldable ROPS – ROPS for maximum protection, foldable for maximum convenience.